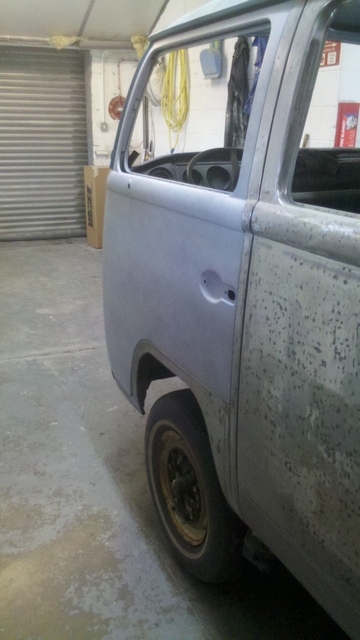 Now For the first inital dig and poke around ! 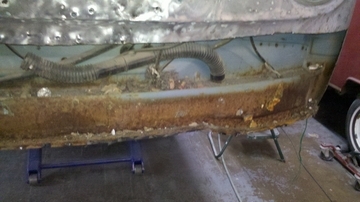 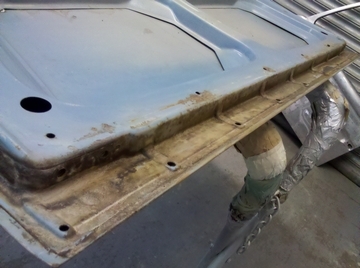 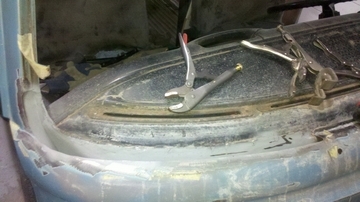 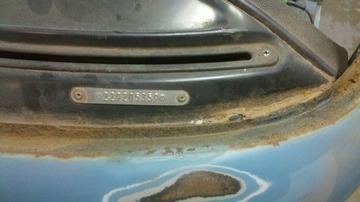 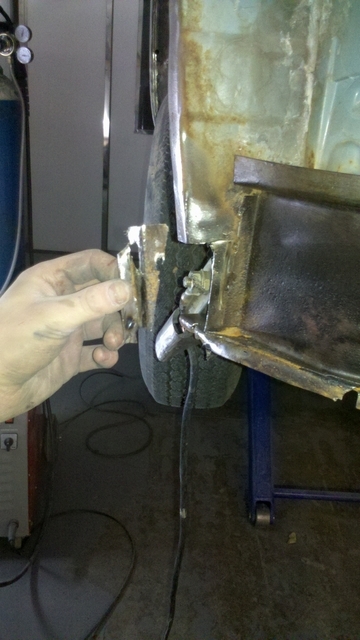 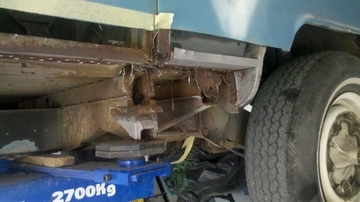 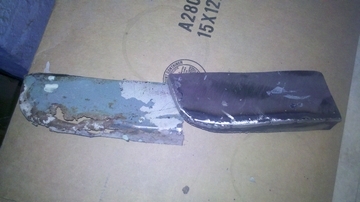 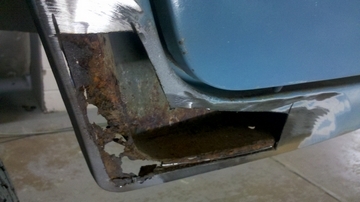 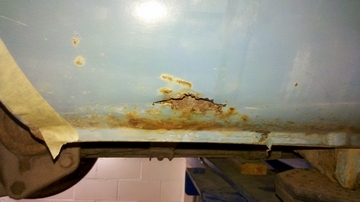 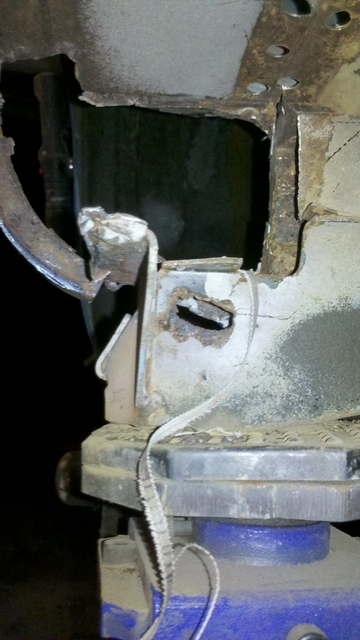 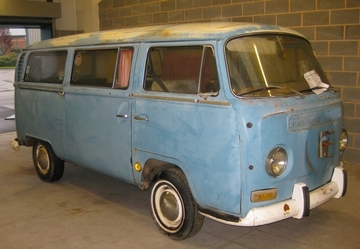 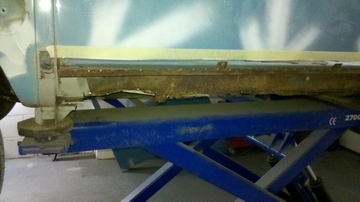 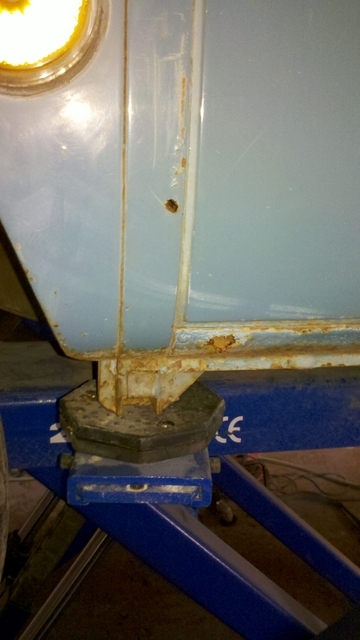 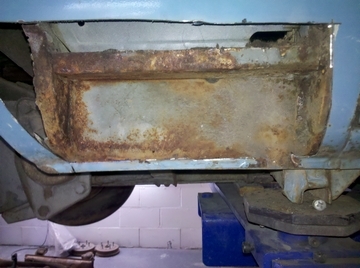 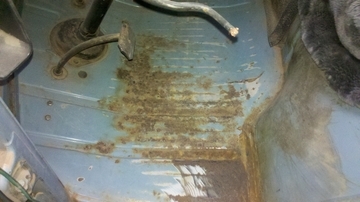 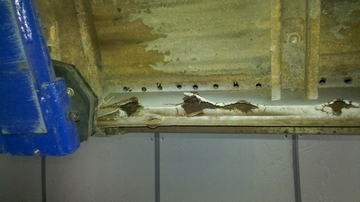 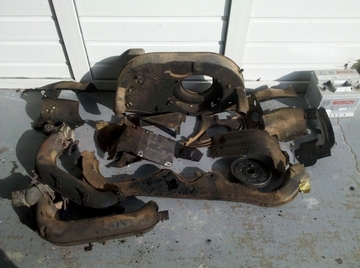 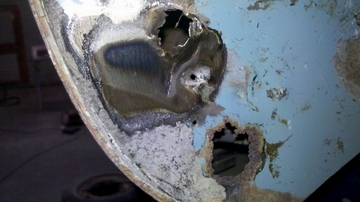 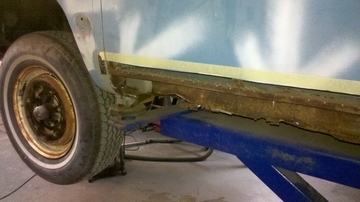 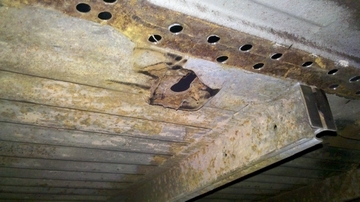 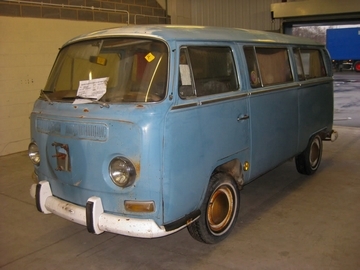 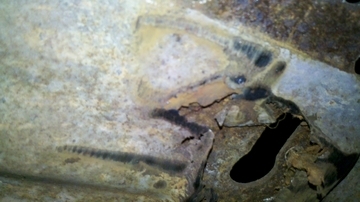 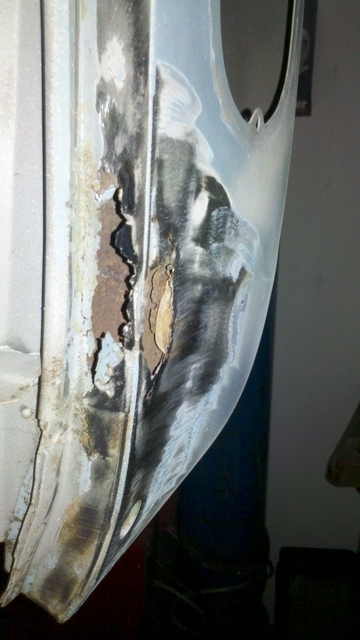 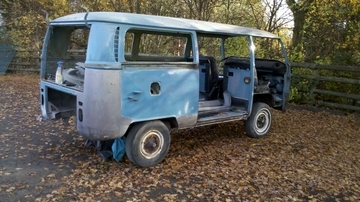 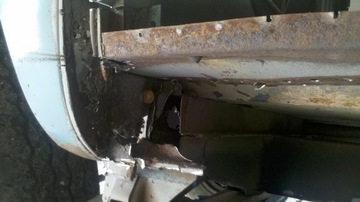 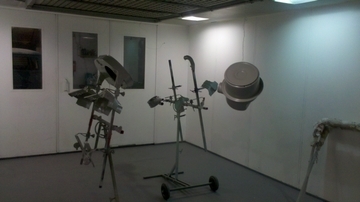 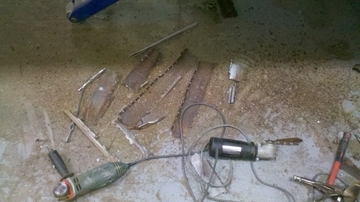 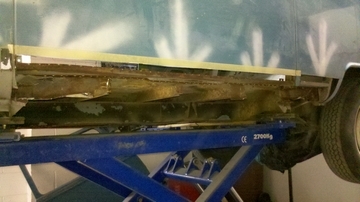 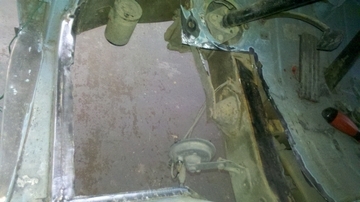 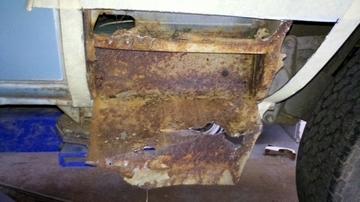 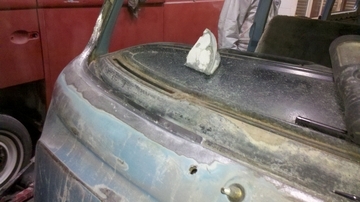 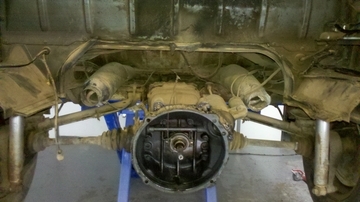 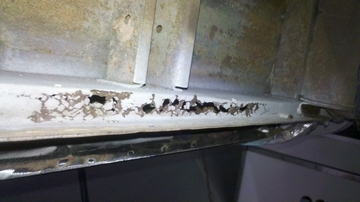 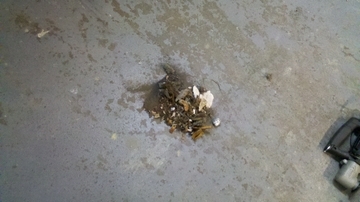 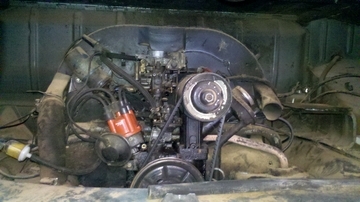 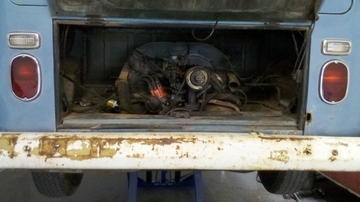 A lot of the lower rust was obvious, but we were still very shocked as to what we found. 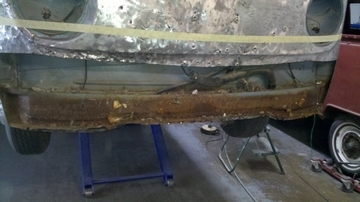 It goes to show what really lies beneath! 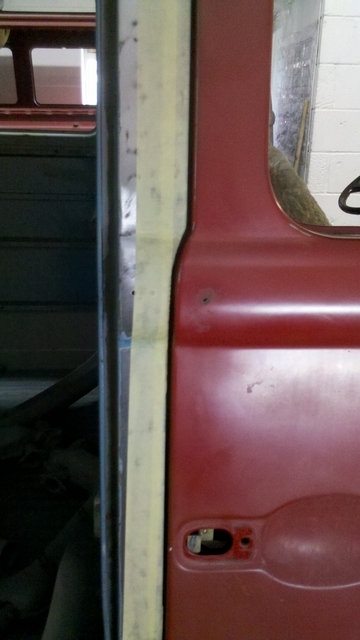 Here is around half the panels needed! 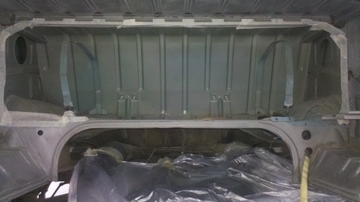 Engine bay blasted looking a lot more solid! 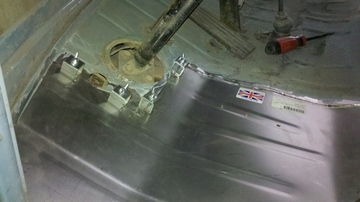 Floor clamped up and spotted! 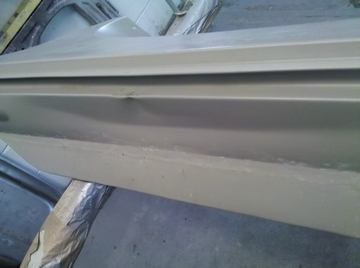 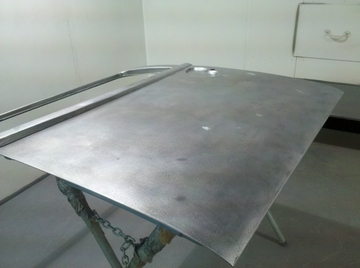 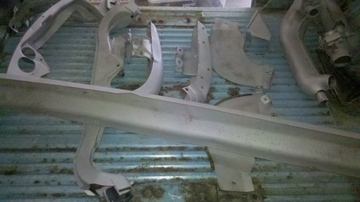 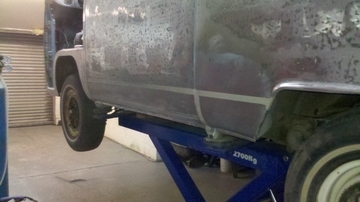 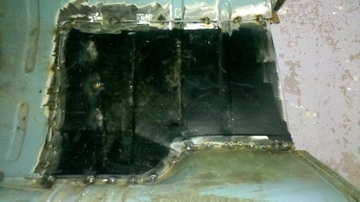 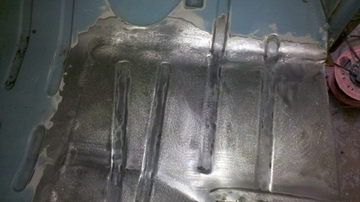 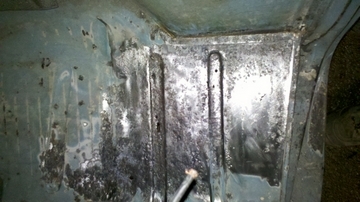 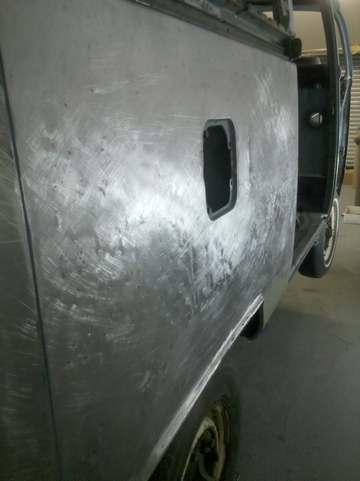 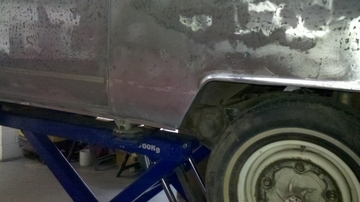 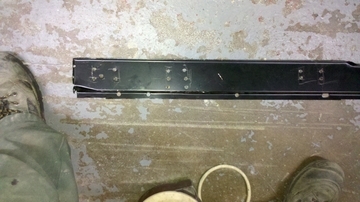 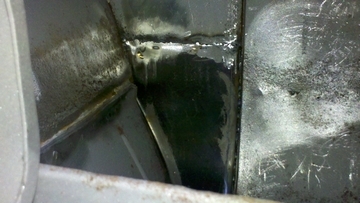 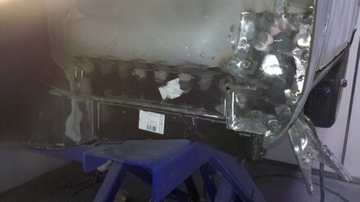 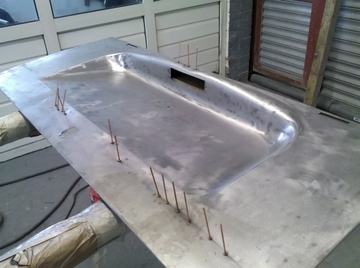 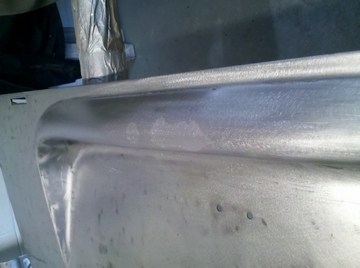 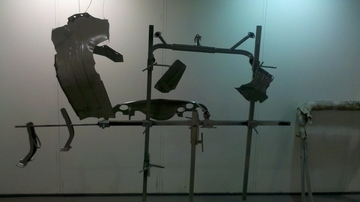 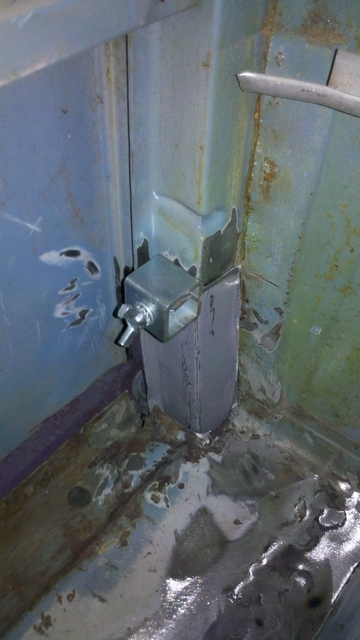 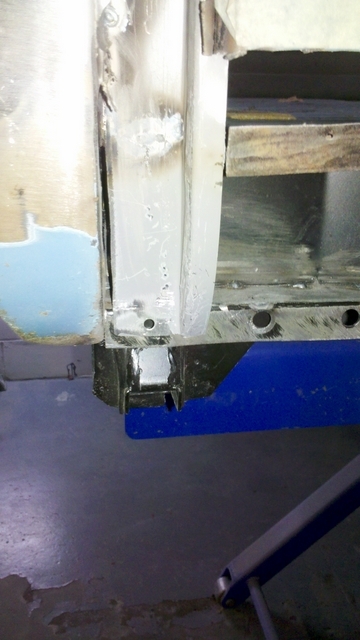 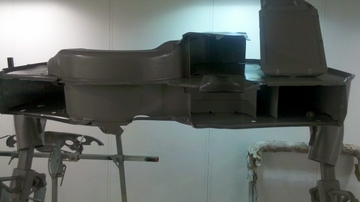 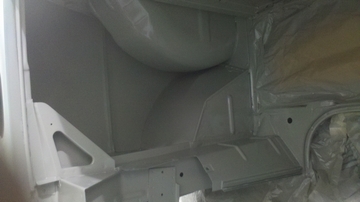 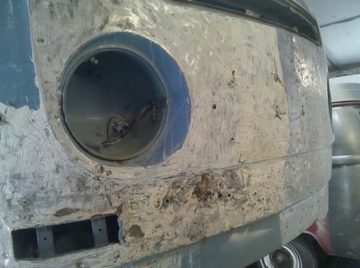 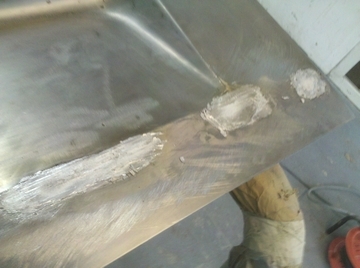 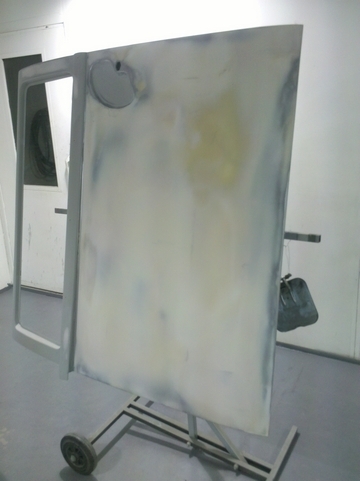 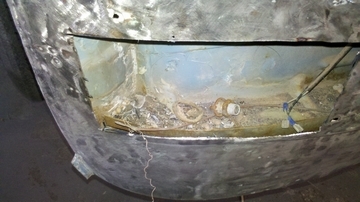 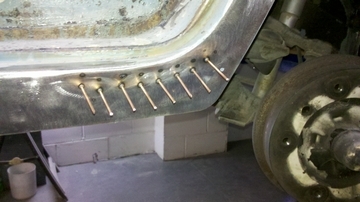 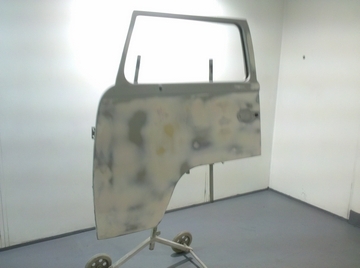 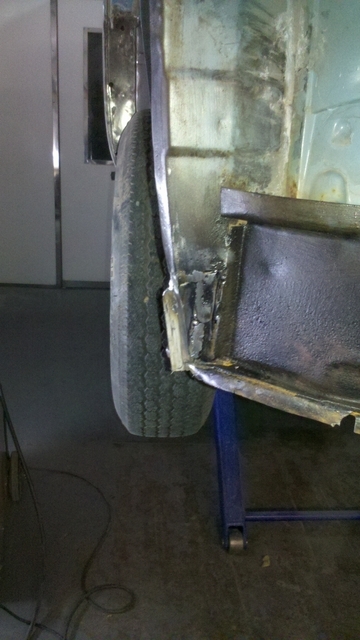 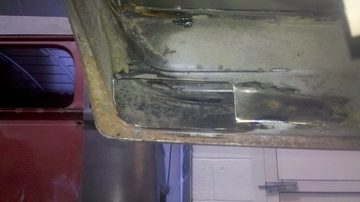 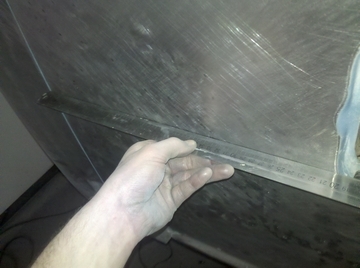 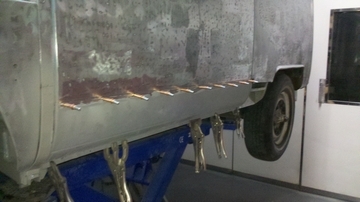 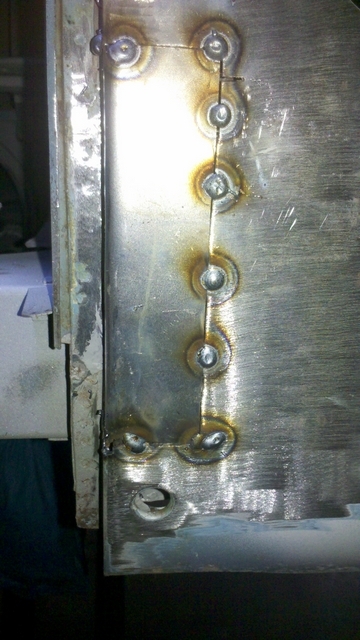 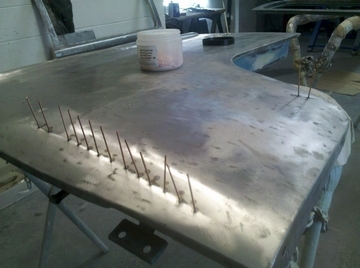 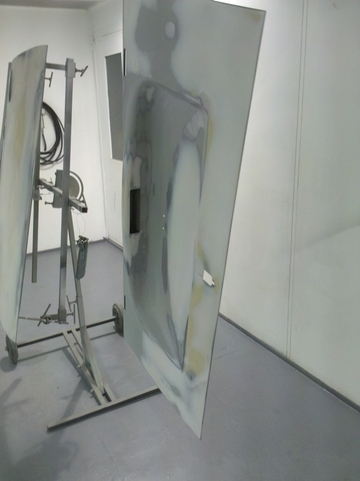 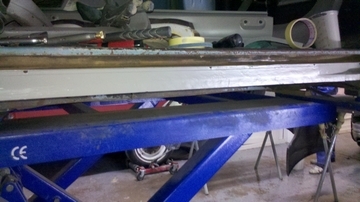 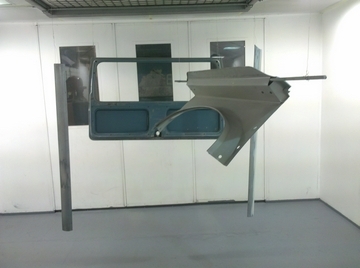 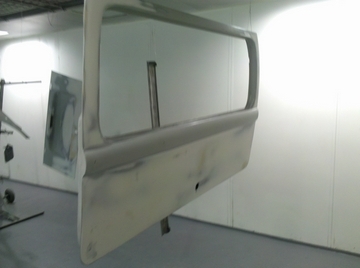 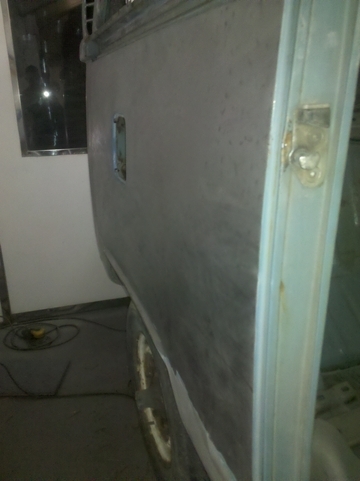 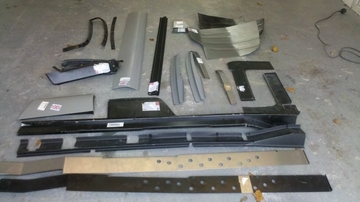 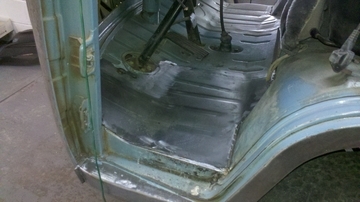 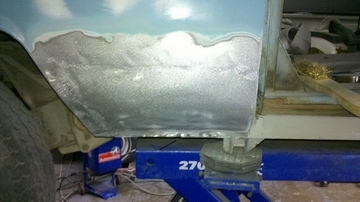 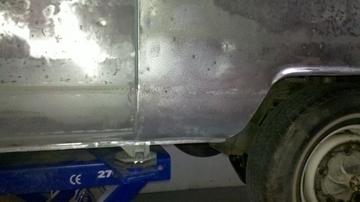 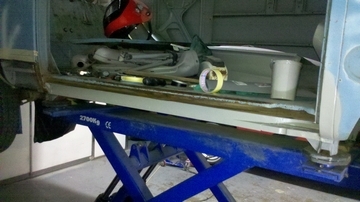 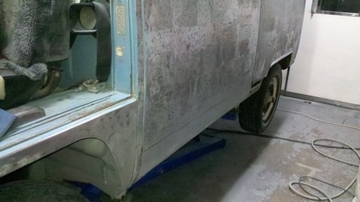 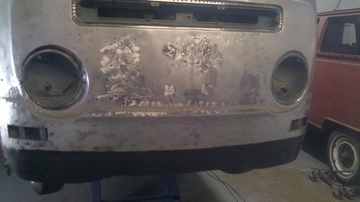 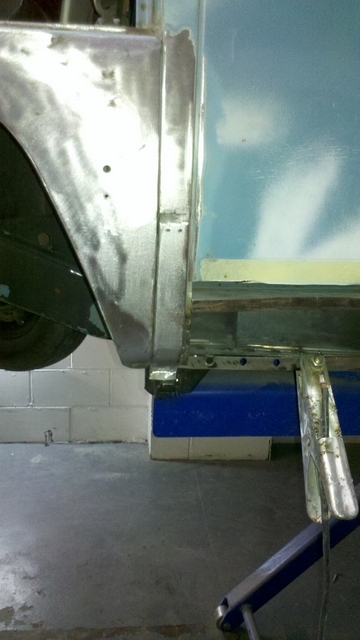 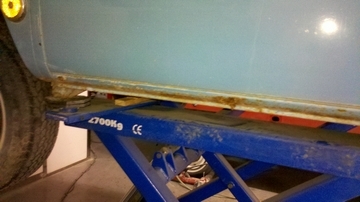 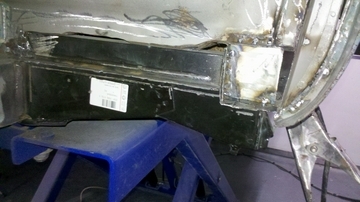 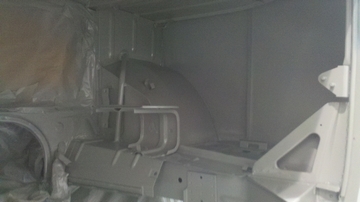 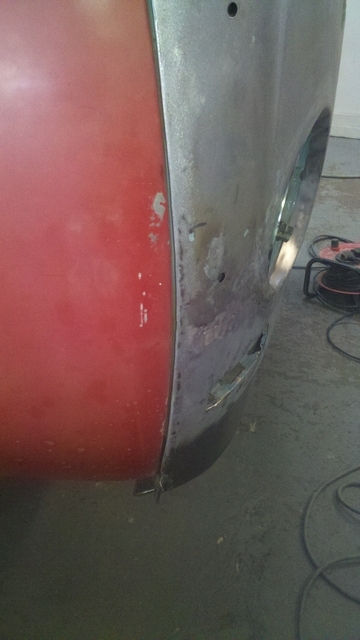 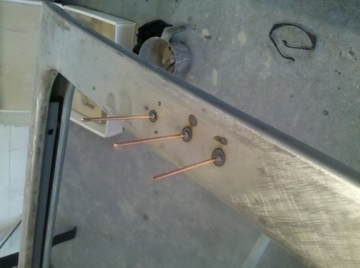 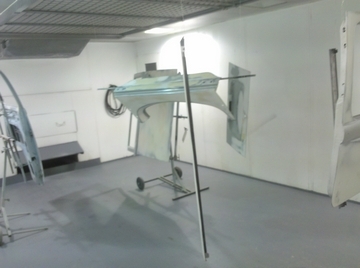 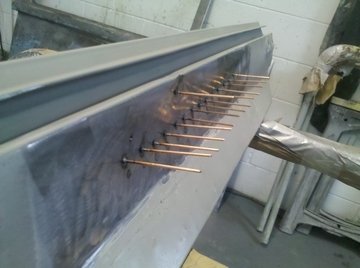 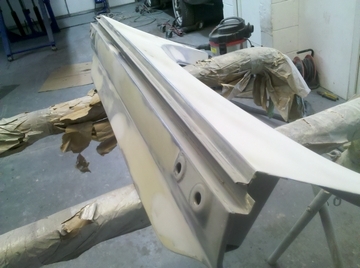 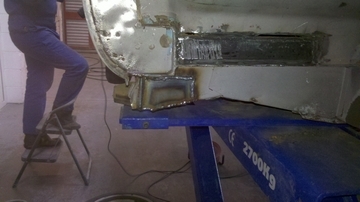 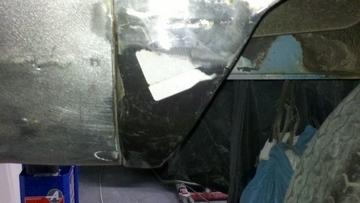 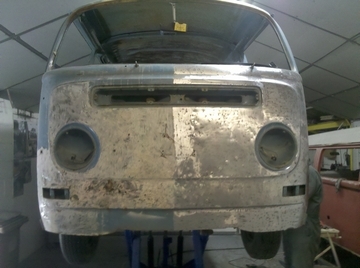 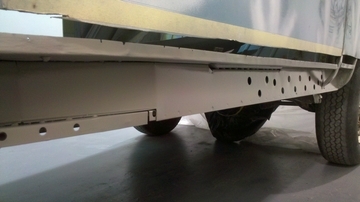 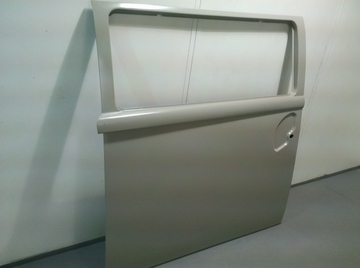 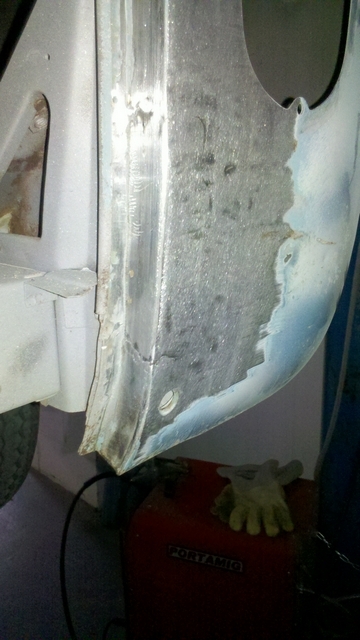 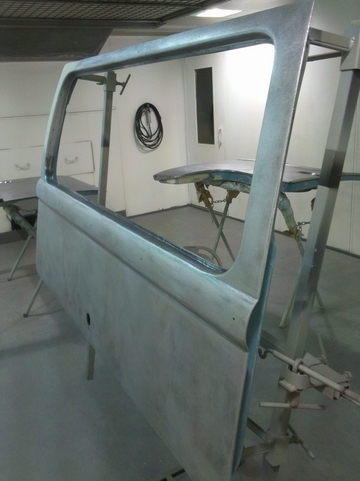 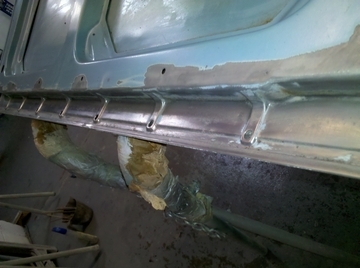 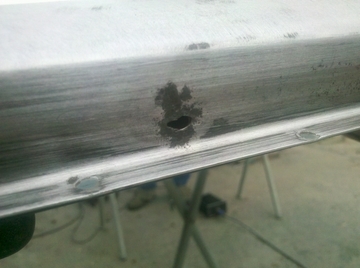 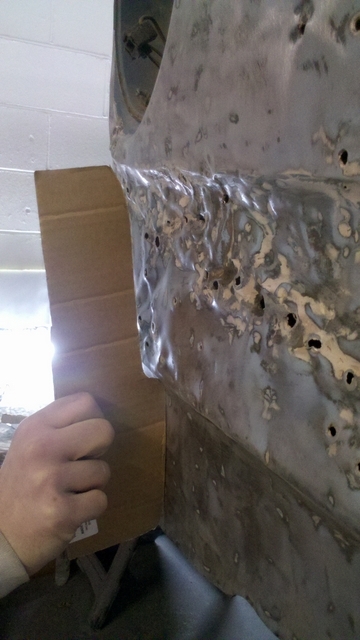 Welded and futher panel beated. 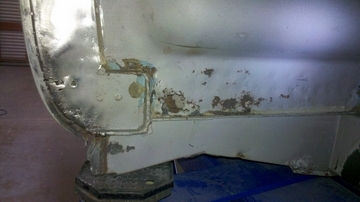 We fitted our temporary donor door whilst awaiting the new one and then realized the accident had pushed further than it seemed. 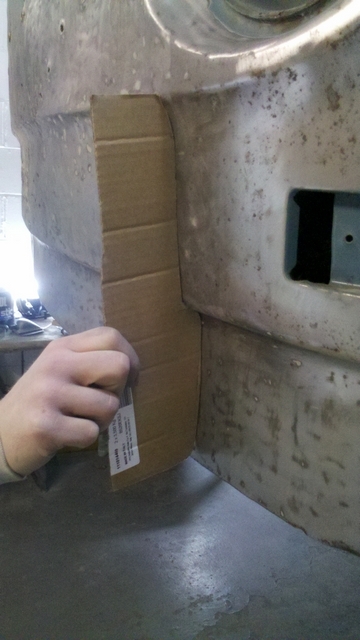 We then pushed the aperture into its correct position. 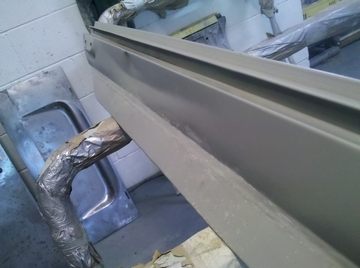 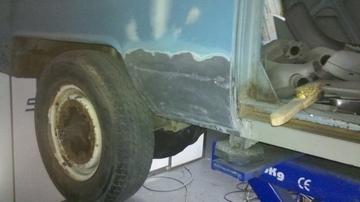 We then had to shave up both edges to the correct gaps! 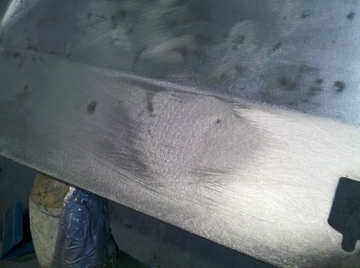 Front middle epoxied and shaped ! 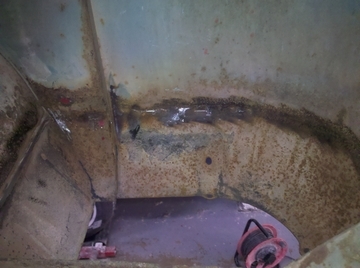 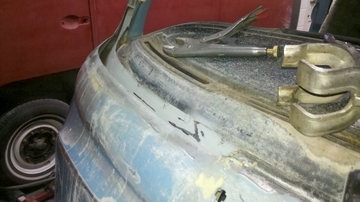 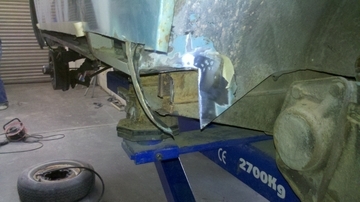 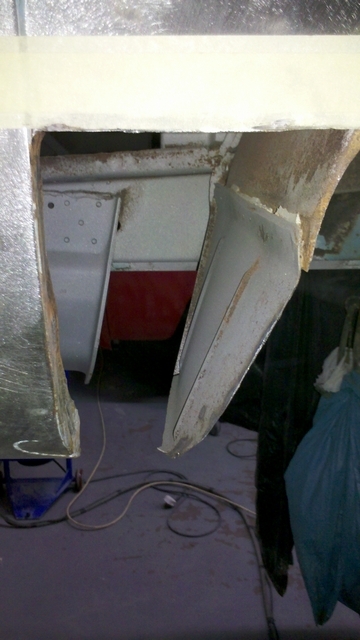 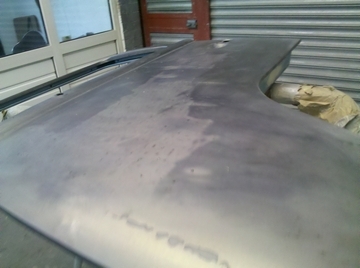 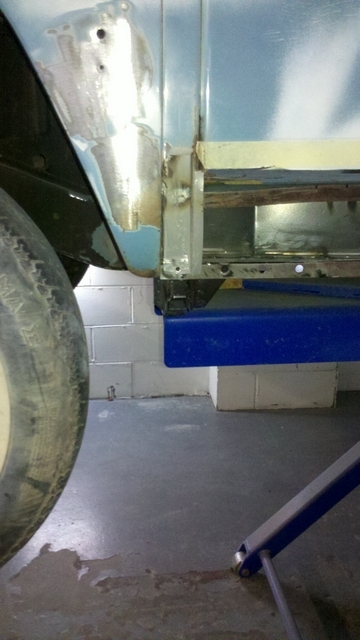 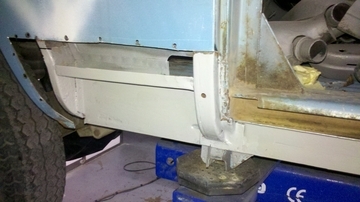 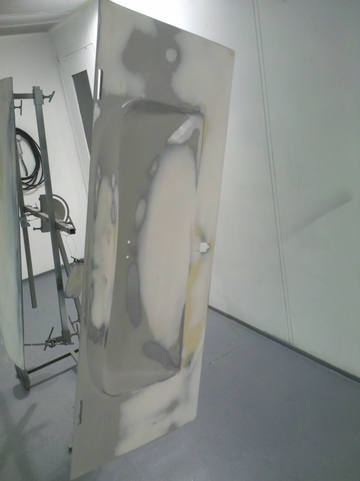 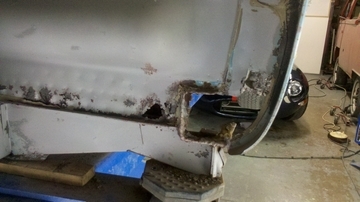 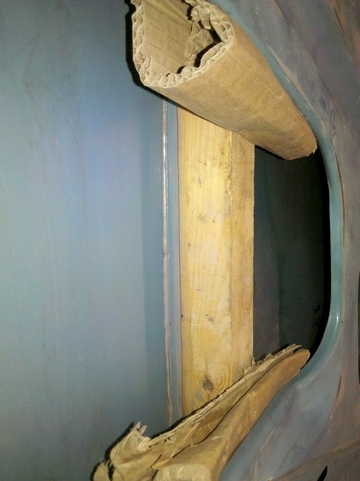 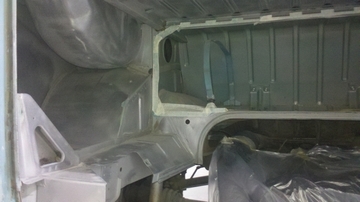 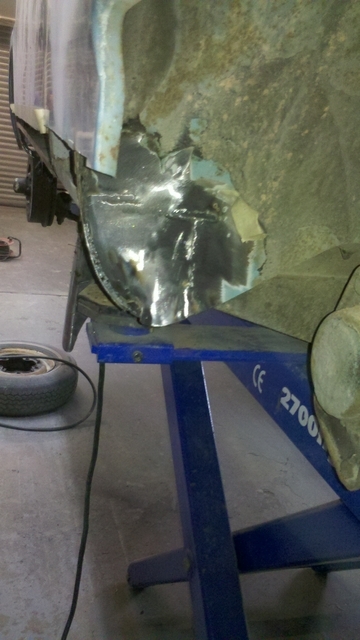 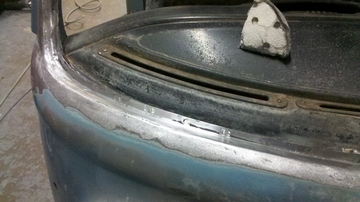 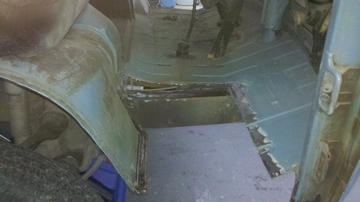 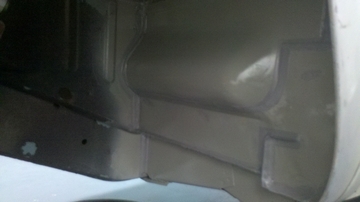 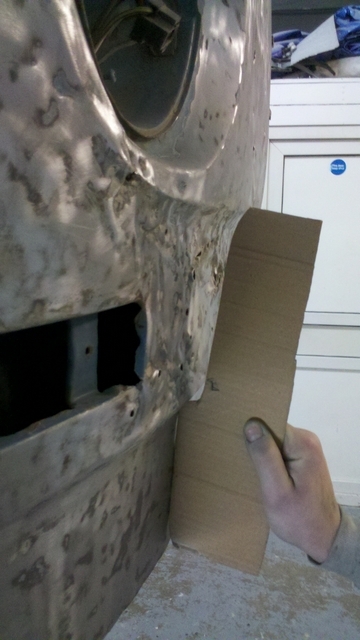 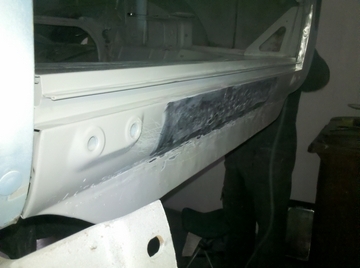 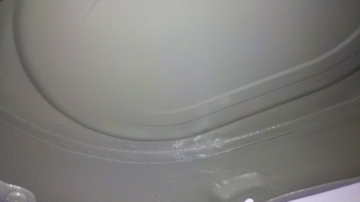 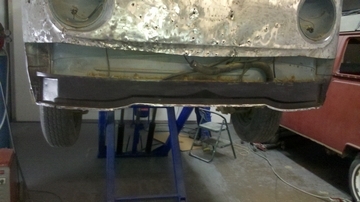 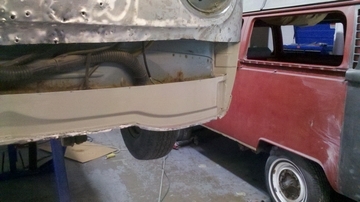 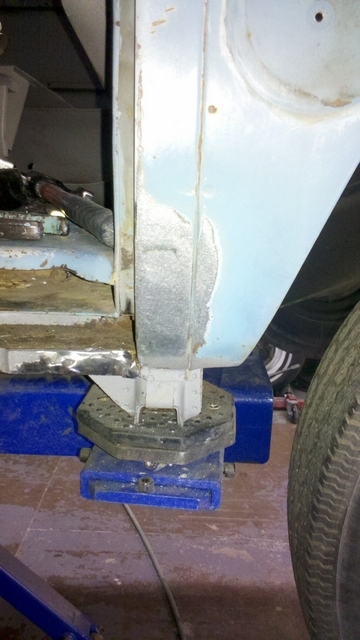 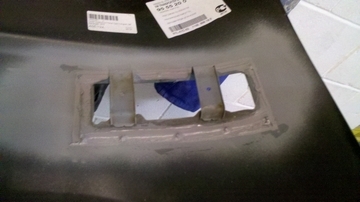 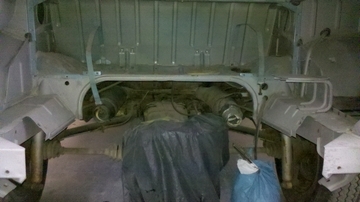 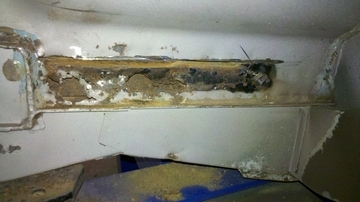 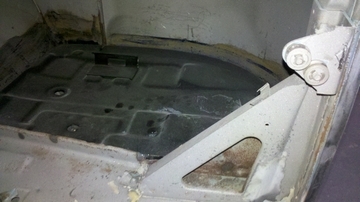 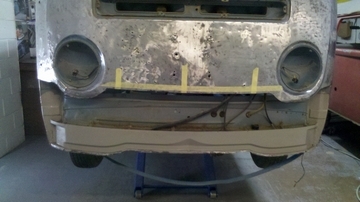 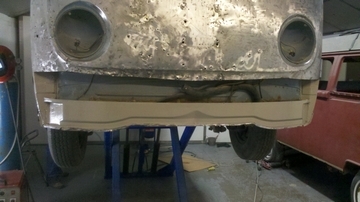 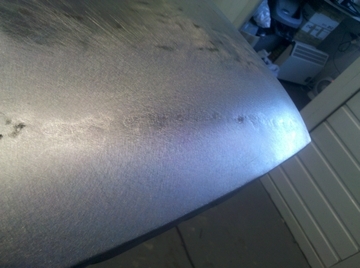 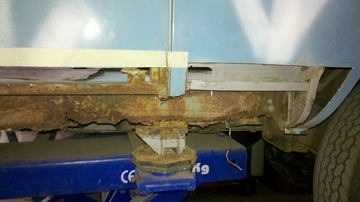 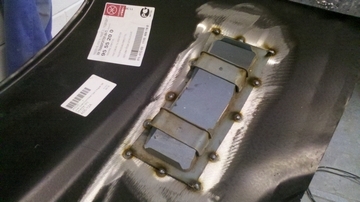 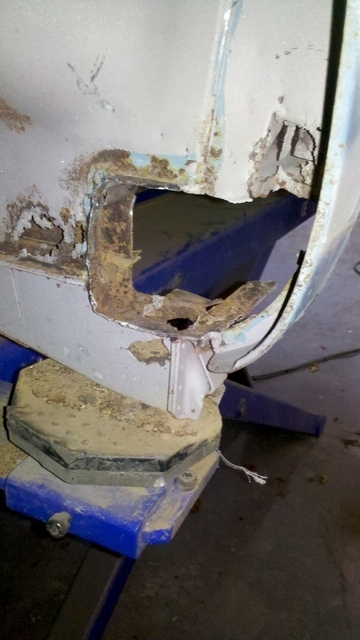 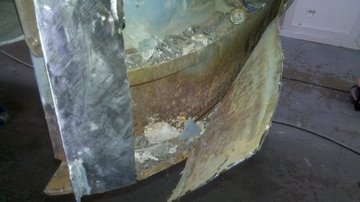 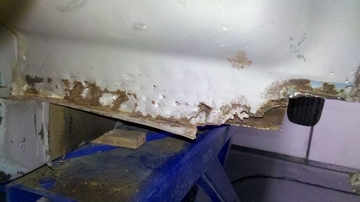 Both rear quaters had badly been stretched making the inner skin impression on the outer. 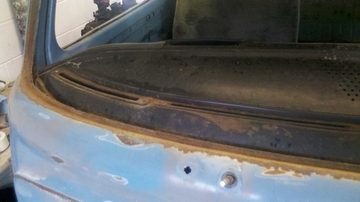 These are difficult areas as there is little acess behind. 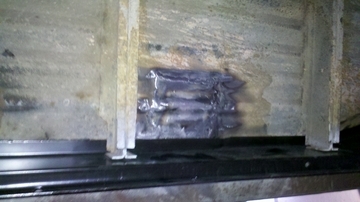 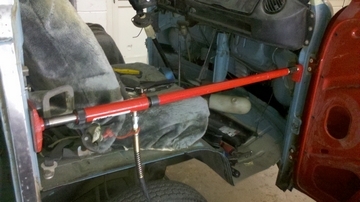 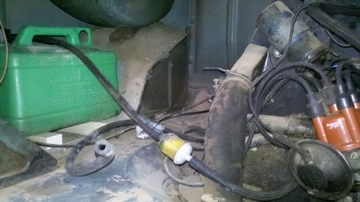 We had to stud weld and heat shrink them before we could beat them out. 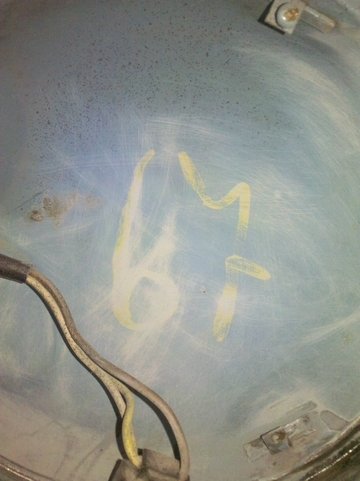 Strange considering this is a 69 ??? 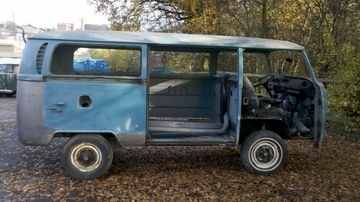 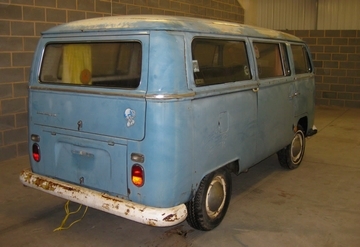 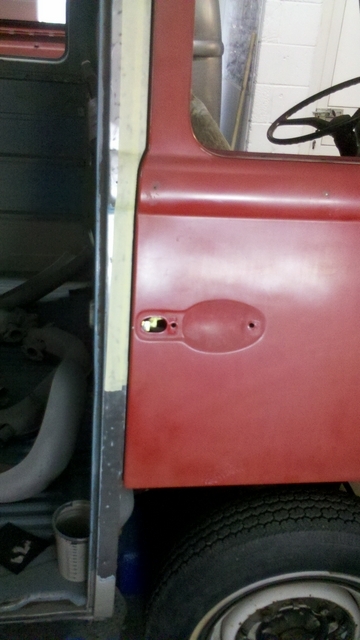 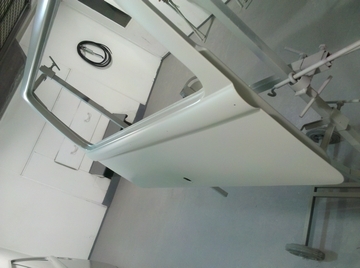 Original N/S door fitted and hung to double check the gapping! 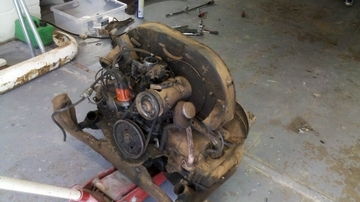 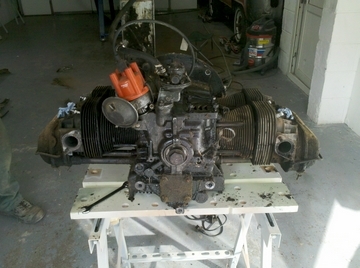 Looks like a lot of work!,,,hopefully she turns out as good as Grahams! 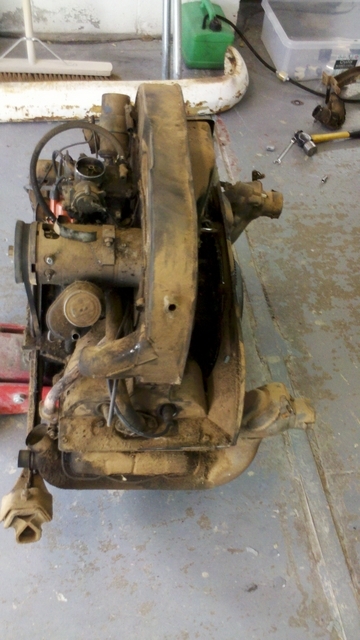 When Drew and Stuart are doing the work you don`t have to hope. 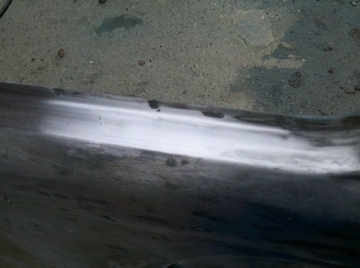 It will turn out very straight and gleaming. 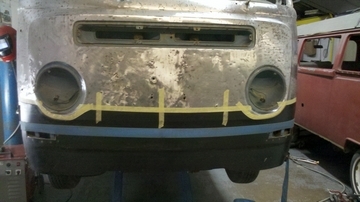 Wow seen less dimples on a teenagers face.........looks like she needs a face lift! 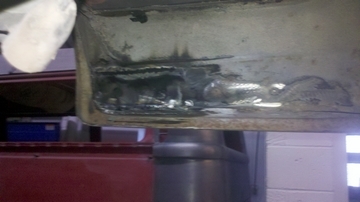 Great job fellas. 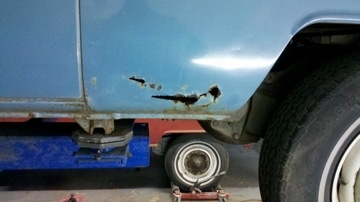 Body man myself, good to see decent repair work. 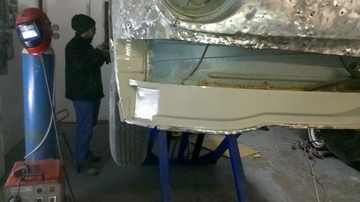 Great work , wished i had found you lads earlier, rather than the show painters/ bullshitters who f**ked up my bus and charged me a arm and leg to do it. 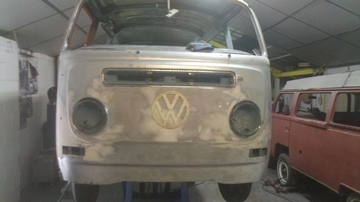 Please check these guys work out "wished I had“.